Day 1 was specifically intended for entrepreneurs and businesses who may want to use blogging as way to promote their businesses. I was able to meet and chat with Tristan Mirasol and Mark Joseph Delgado during breaks as we were seatmates. We had the first topic from Jayson Biadog about Organizing Online Contest. Then I learned a lot from Earth Rullan about Blogger Etiquette as you interact with company that will support your site. I was really amazed how a fellow geodetic engineer like Regnard Raquedan was able to tell a story about "The Princess and the Wizards" on how to become a Social Media Champion. 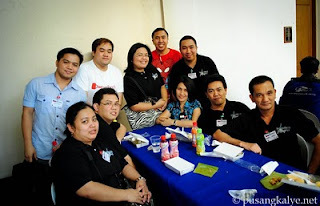 I will surely follow the 10 Power Blogging Tips from TV 5's Carlo Ople to improve my blogging skills. Too bad he didn't talk about "Big Bad TV Host"
After the lunch break, Howie Severino shared some insights about being a writer, journalist, and blogger differs and discussed how different Blogging now in the time of Facebook. Ginger Arboleda then discussed about how and why you have to do Offline Marketing for your site. I was just amazed how a person as young as Melvin Dichoso was able to earn from blogging so I listened as he discussed what are the modern ways to drive traffic in your site. 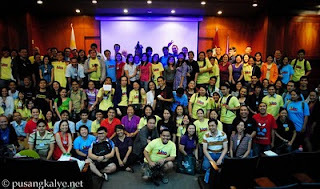 Finally we got to learn some tips on Earning from Blogging as EJ Arboleda. Janette Torral concluded Day 1 with her insights about having a National Bloggers Association and/or Professional Bloggers Association. Although I do not have a stand yet regarding this matter I listen to her as the Malcolm Theater was filled with silence as she talks about her stand. What strike me in her talk was when she said "We sometime write something with intention to hurt (somebody) but still at some point we still care about them." Day 2 was more intended for young and new bloggers. Jeff and Menard was able to join me and I was able to meet the Batangas Today family lead by Marhgil Macuha. We had interesting topics from Jonel Uy and Jinkee Umali about Blogging 101. Then we had some tips on Podcasting from Adrian Jeric Peña. Afterward we got some sharing from Roy Dela Cruz on How to Deal with Writer's Block. After the lunch break we were serenaded by UP Concert Chorus with their rendition of Ogie Alcasid's "Kailangan Kita" and the "Tong Song". Sonnie Santos and Grace Nicolas talked about Advocacy Blogging. Then Fitz Villafuerte talked about Blog Traffic without SEO and Mon Macutay discussed about Blog and Facebook and introduced as to Elly Tran Ha. Michael Rubio then gave us tips against trolls - NEVER FEED THEM! Finally Ria Tirazona shared some insights how Blogging and Social Networks became a Support System for her. next time na may ganto, di na ako tatamarin. 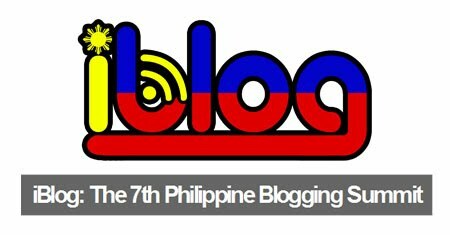 Congratulations for the successful iBlog 7!